I’ve been learning Amigurumi over the last week or so! Having finished Eva’s rainbow unicorn crochet hoody, I decided to start off a few smaller projects. It had taken me almost two months as I kept losing motivation having to restart twice so I wanted to make something I could finish quickly. To begin with, I started off crocheting a scarf for Izzy to match the scarf I made Eva last year. After the first 20 rows, I got a little bored so I began hunting something new to make. Tweeting about something new to make, Rebecca from MyGirlsAndMe responded suggesting a headband. I decided to give it a go and send it to her since I don’t wear them and wanted some feedback on my crochet too. I was quite pleased with how this Pin-Up Retro Headband turned out! 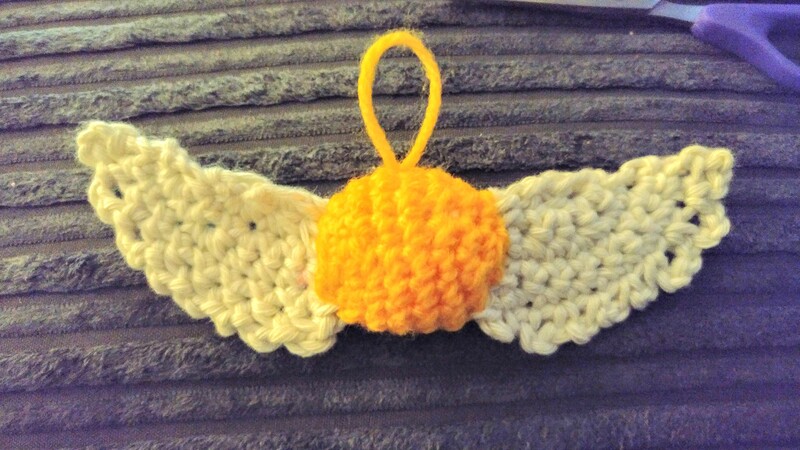 I spotted a free pattern for a golden snitch over on Pinterest. With both girls loving Harry Potter I figured it was worth a try. With some stuffing left over from my Woodland Garland Kit and the similar colours, I got started. I was quite pleased to see the golden snitch work up so quickly and how easy the pattern was! It didn’t take that long at all before I had completed the first golden snitch. Feeling much more confident I managed to make the second one the next morning for Izzy. 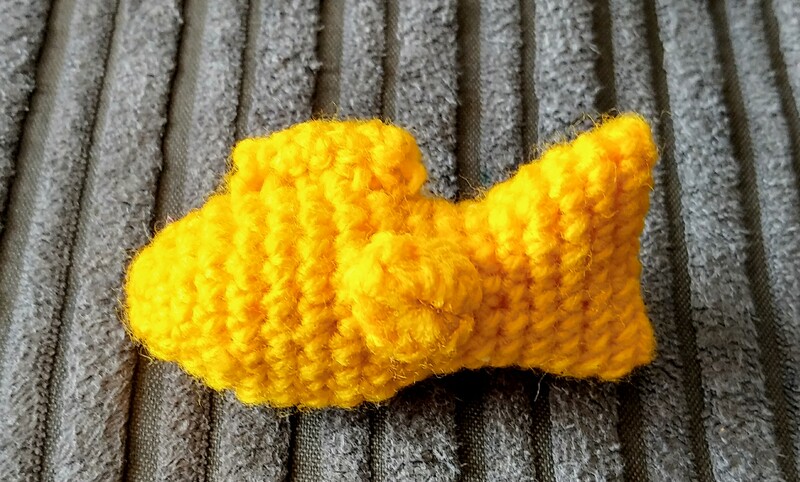 Next, I decided to try out the Goldfish in a Jar Crochet Pattern. Missing the safety eyes, I decided to give it a try anyway and was pretty pleased with the result. I love how quickly Amigurumi works up! The safety eyes will shortly be on order but I didn’t want to leave this fish unfinished! I crocheted some simple eyes to complete it. I fully intend to experiment whilst learning amigurumi patterns. With cars, people, animals, flowers and more, it should keep me busy and help me to learn new stitches along the way! 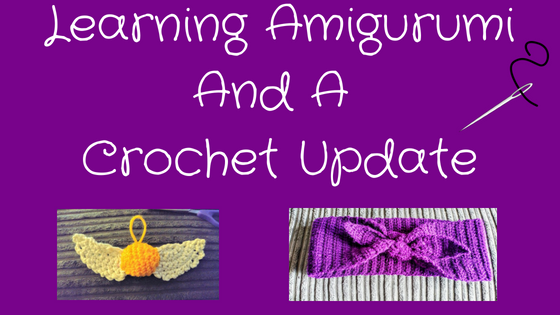 Have you learnt Amigurumi before?